Jacques Smit wines a boutique winery from the Blouvlei invite you to visit us at Diemersfontein this year on 15 March for the Wellington Harvest Festival. On Sunday 16 March you are welcome to visit us at Welvanpas for a wine tasting or enjoy a nice cup of coffee/tee under the trees. An Art exhibition in the very quaint ”Ou Meul “ art gallery on Welvanpas will display works of art from artists like Leon de Bliquy, Fanie Marais, Christine Oberholzer and Hannelie Smit. 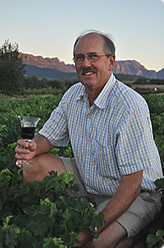 Jacques Smit is a man passionate about wine - as well as about his family, the soil and history. After studying Viticulture and Oenology at the University of Stellenbosch, he devoted himself as a vine nurseryman to the specialised cultivation of grape-vines at Welvanpas - 300 year old family farm near Wellington, South Africa. 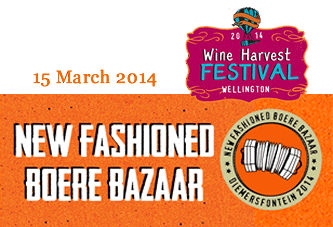 Wellington is the main nursery district and literally the cradle of wine South Africa. The roots of Welvanpas (meaning "well-suitable in Dutch) date back to 1699. 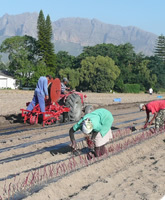 It was one of the very first farms outside the close vicinity of Cape Town, to be granted to a French Huguenot settler. The first Smit to own Welvanpas bought it in 1844. After changing hands, it was again sold in 1956 to Abraham Jozua Smit, the father of the current owner, Jacques Smit. Welvanpas, situated in the Blouvlei area, against the backdrop of the beautiful Hawequa Mountains, originated as a wine farm, well suited to the soil and ideal climate of the region. It has since become home to the Constantia Vine Nursery, one of Wellington's well know vine nurseries. They consult on viticulture issues both in and outside South Africa.